From left to right: Sister Michaela Connolly of Blauvelt (Prioress), Orangetown Supervisor Chris Day, and Sister Mary Murray of Sparkill (President). 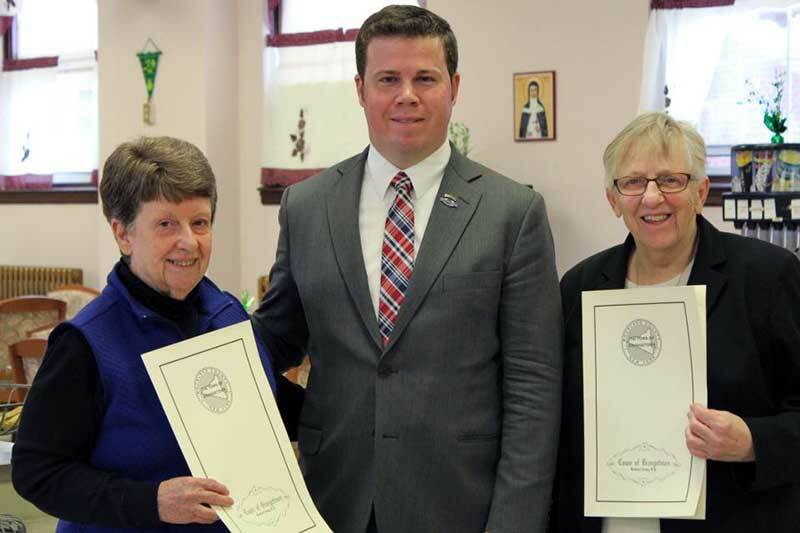 At the beginning of National Catholic Sisters Week, the two Dominican Congregations of Women Religious in Rockland County, the Sisters of Saint Dominic of Blauvelt, New York and the Dominican Sisters of Sparkill were recognized along with other religious communities in a Proclamation from the Town of Orangetown Supervisor, Chris Day. This Proclamation formally deems March 8-14 as National Catholic Sisters Week in Orangetown and recognizes the Sisters of these congregations for their impact on society.